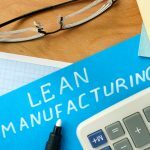 Practitioners of Lean Manufacturing are sometimes criticized for using buzzwords. It’s fair to say that this criticism is party true. In fact, when I sometimes hear common everyday words, I think of something else. Maybe you can relate. Now Means: Pull production is the arch enemy of Batch Manufacturing. 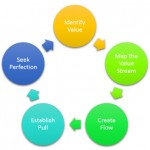 Pull is often used in describing Kanban and methods such as one-piece flow or single-piece flow. Pull is associated with “continuous flow”. In sum, Pull is meant to explain a concept of building products based on actual customer demand. Used to Mean: To place force against an object, such that the object moves away. For example, “I pushed my uncle into the swimming pool because he deserved it and I will look cool to my people”. Now Means: Push is synonymous with Batch Manufacturing. In Pull, we build to customer demand. In Push manufacturing – in general – we build to stock. Batch Manufacturing almost always leads to over-inventory, which is one of the 7 Wastes we want to reduce or eliminate or prevent. Used to Mean: A large retail market that sells food and other items. For example, “I need to go to the supermarket to buy some diapers, apples, bananas, and grab myself the latest Oprah Magazine”. Now Means: A replenishment process which ensures that all manufacturing components ordered from outside suppliers are available to be loaded and delivered in one consignment. Derived from the system used by retail supermarkets, it levels the occasional spikes in demand experienced in individual factories by requiring suppliers to smoothly and systematically gather unusually large orders to a separate holding area, or ‘virtual truck’, ahead of the regular loading schedule. 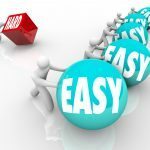 This process avoids any disruption to the tempo of deliveries and last-minute rushing around to complete an order. Now Means: To recognize mistakes and take appropriate action to avoid re-occurrence. Even if a task is completed successfully, Toyota recognizes the need for a hansei-kai, or reflection meeting; a process that helps to identify failures experienced along the way and create clear plans for future efforts. An inability to identify issues is usually seen as an indication that you did not stretch to meet or exceed expectations, that you were not sufficiently critical or objective in your analysis, or that you lack modesty and humility. Within the Hansei process, no problem is itself a problem. Used to Mean: That giant auto manufacturer that makes super cool and reliable cars. You know, that Japanese car maker. Yeah, them. 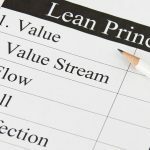 Now Means: That car company from Japan that developed and codified the Toyota Production System, otherwise known as Lean Manufacturing. The Toyota House is often how the Toyota Production System is explained, as parts of the house contains key aspects of the production system.